Blush by Shailja ARE YOU A VENDOR? 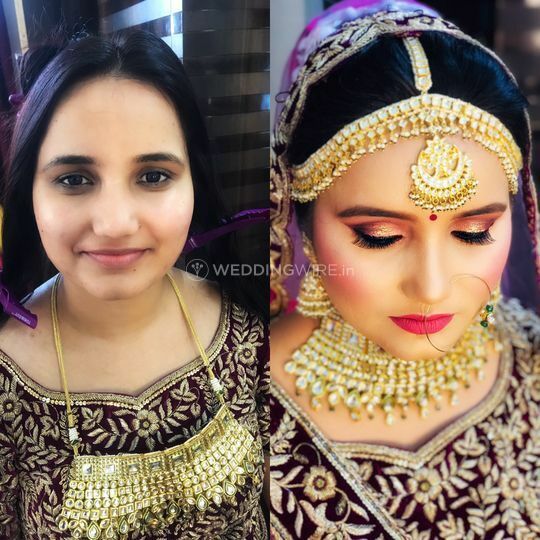 Blush by Shailja is an internationally trained makeup artist based out of Delhi NCR. 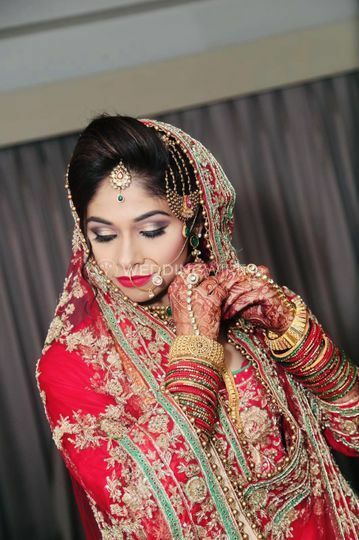 She is an amazing makeover artist who specializes in stunning bridal makeovers and creative beauty advice. Blush by Shailja has a team of beauty professionals who will make sure your special day is also the most glamorous day of your life. From unique hairstyles to stunning look changers they have solutions for everything. 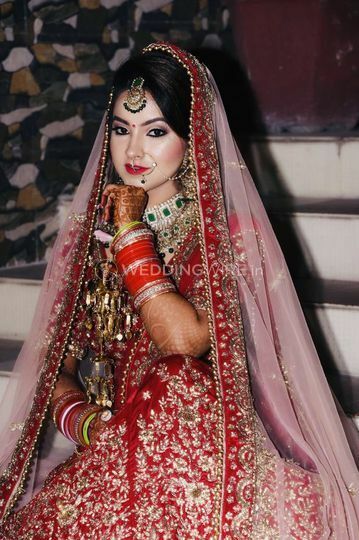 Shailja ensures that you look nothing less than stunning for your D-day. 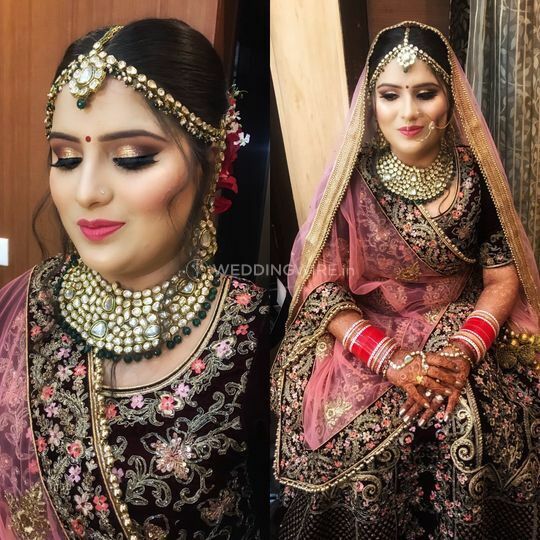 Blush by Shailja works with full detailing and commitment to giving you a perfect bridal look for each of your nuptial ceremonies. 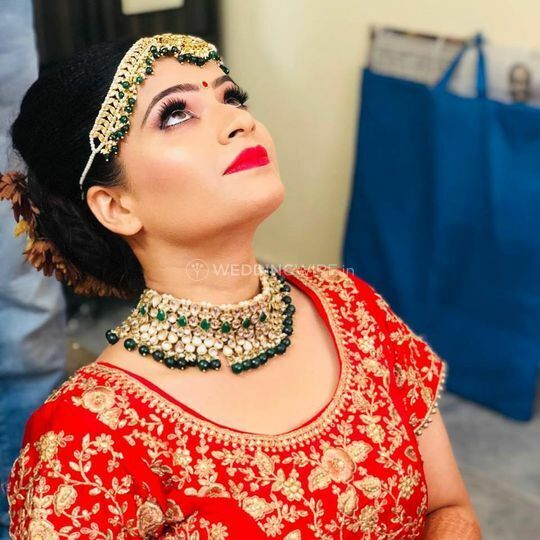 She has a diverse collection of brands which she uses to give you a bridal makeover that stays for the entire event without smudging a bit or harming your skin in any possible manner. 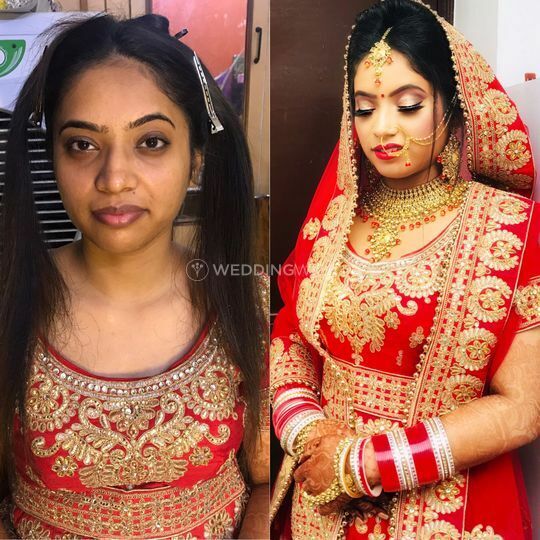 She is also ready to travel outstations and within the city to give you a makeover as per your time and convenience. 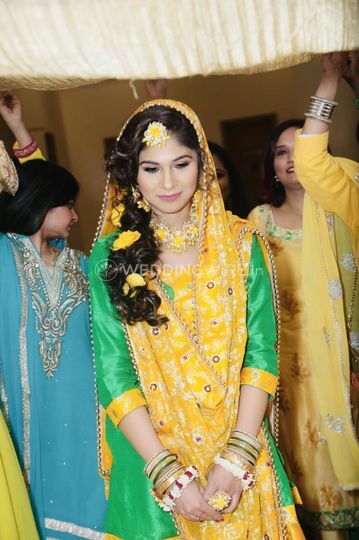 We hired Shailja for hair and makeup for me (the bride), my mom and my sister in law. 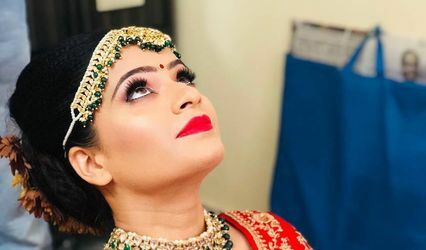 Shailja did our makeup for the uptan and wedding ceremony. 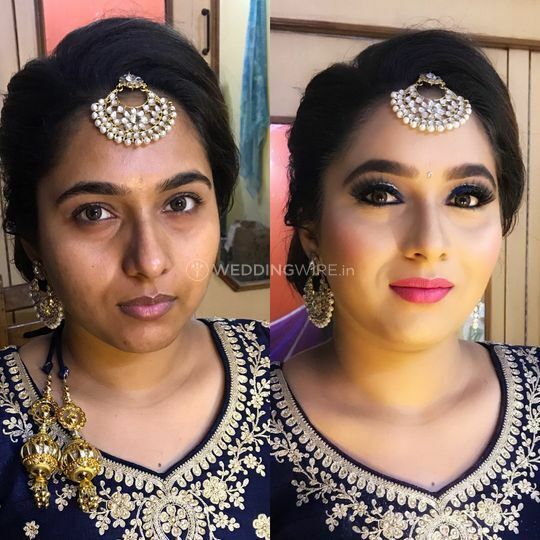 My mom was initially going to only get her hair done, but she was so happy with my makeup that she also asked Shailja to do her makeup :) I particularly appreciated how well Shailja did my mom’s colour correction. My mom has blemishes under her cheeks and Shailja did a fab job hiding those! I really appreciated Shailja’s professionalism throughout the process. Shailja was very quick to respond to me and to meet with me and my mom when we were looking for an MUA. She also made sure to check which outfits we were wearing in order to make sure she had the right colour scheme going on. I also sent Shailja reference pictures for hairstyles and she made sure to share those with her hair person. I absolutely LOVED getting dolled up by Shailja! She is extremely patient and steady. She made sure to arrive on time, which was really important given that there were three people that needed to get dressed! Great experience. She is quite professional and good. 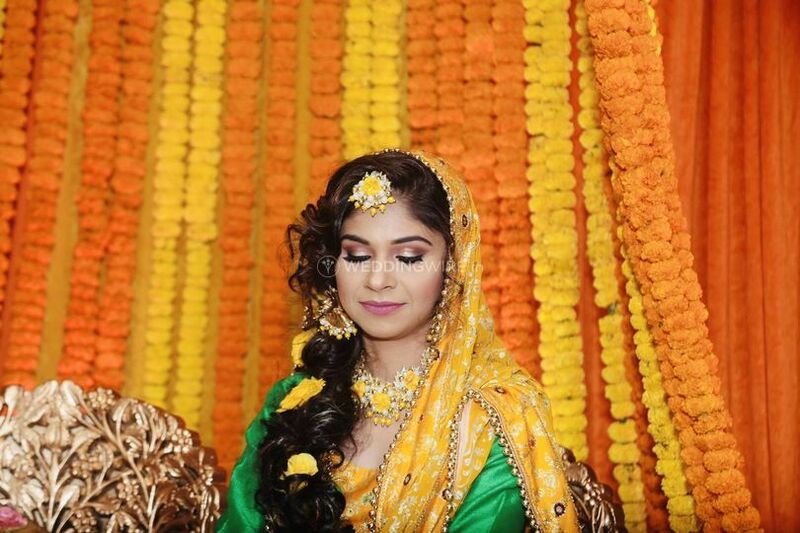 I would recommend Shailja for makeup and hair. She is extremely patient and she absolutely knows what she is doing. The transformation is fab! Shailja just knows how to add a ‘wow’ factor to a person!